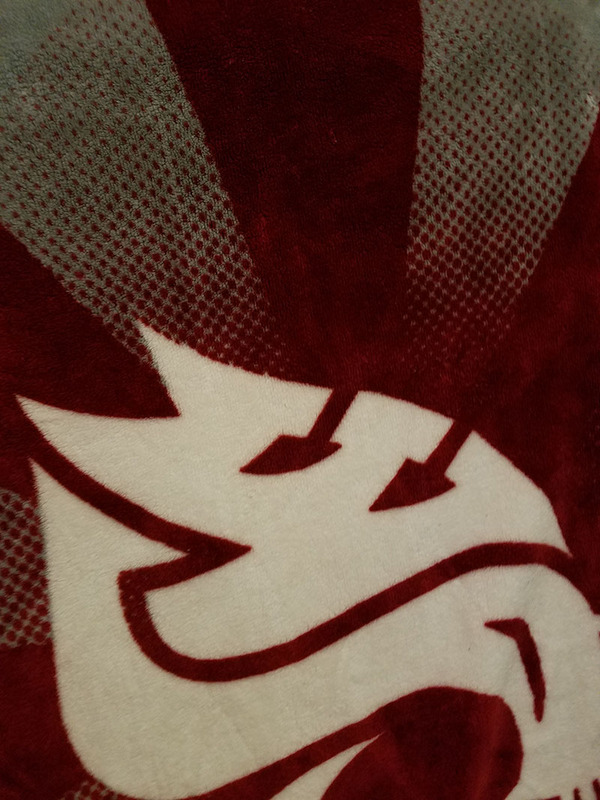 For my first picture I chose a WSU blanket that I own, which I felt showed a nice example of point. What I liked about it was how it showed a gradient of far spaced out points to a rapid repeat of points that form a solid. Which is something that is talked about in the point, line, and plane chapter, how point can be dots just on their own or form a mass of points. My second photo is of the curtain in my bedroom which shows line in many way. 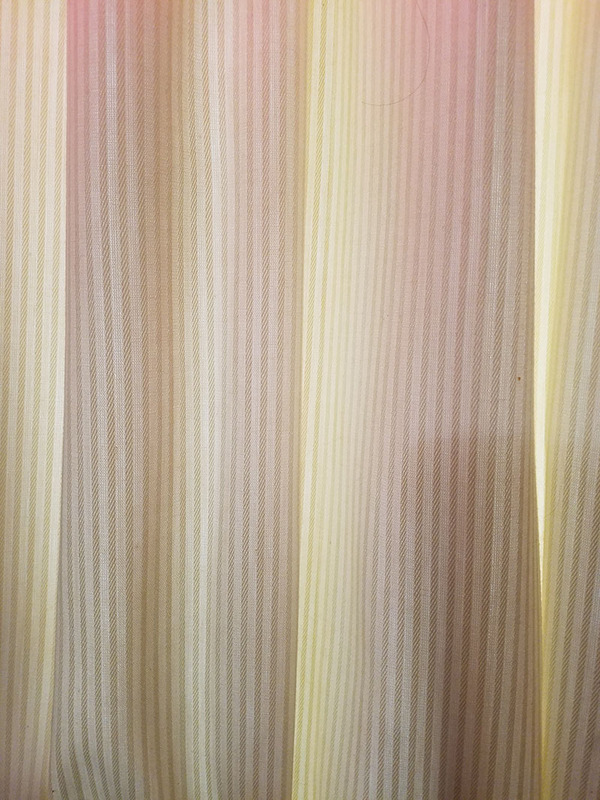 The curtain itself has a pattern on it that uses lines through long vertical strips, but also uses line diagonally within those strips that are so close together that it gives the illusion that the strips are a solid line. There is also implied line through the curve of the curtains and the light that shines through the background creating shadows and highlights. For my last photo I chose to take a picture of some things hanging on my wall to show plane. 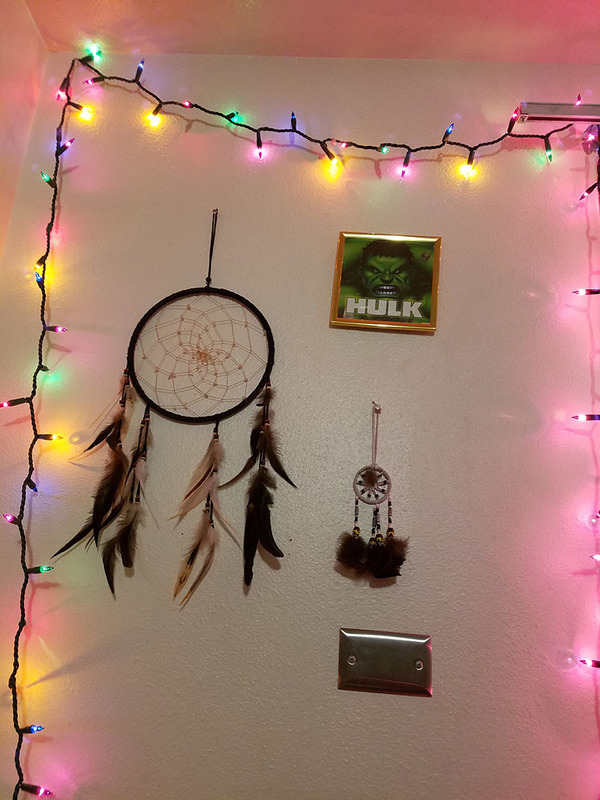 I did this because everything is hung on my wall which acts as the plane for these decorations. Which is something brought up in the ready, how walls act as a physical plane. This plane, since it is physical, also has a texture that is bumpy. Which you can kind of see from the picture because it is made up dots that give it that bumpy look. In the corner of the picture you can also see the lines of the plane, which are more apparent in the photo because of the shadows casted by the light.